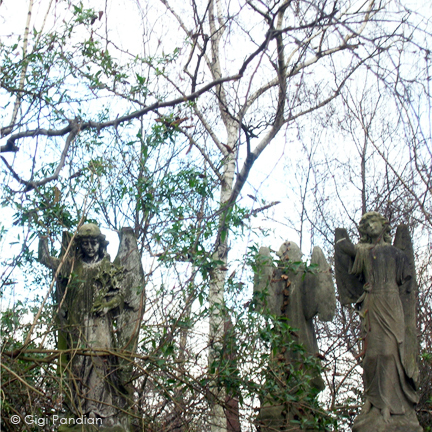 While beautiful, the placement of a few of the stone angels at Abney Park Cemetery in London feels rather ominous. 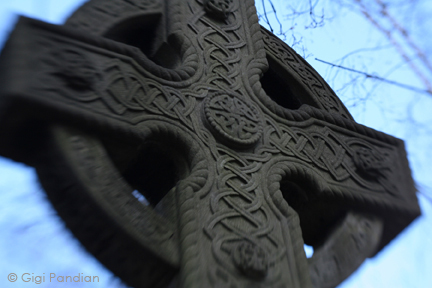 Maybe it was just the type of day that it was when I visited, without a soul in sight and with the clouds rolling by above. 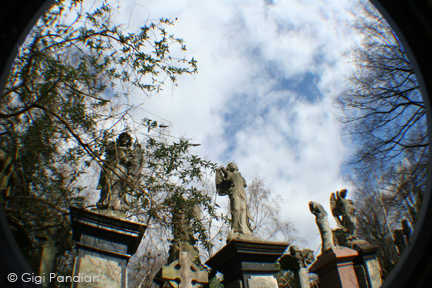 But if you're a fan of Doctor Who, you might find the photo below reminiscent of the "Blink" episode with stone angels that aren't quite what they seem. 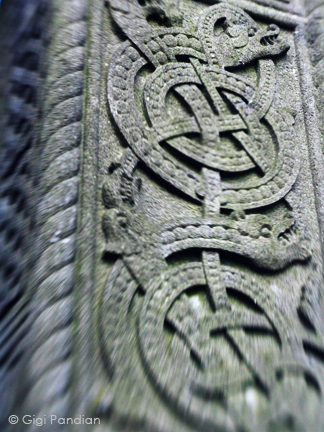 Below, a Celtic cross and a closeup of the details on the cross.